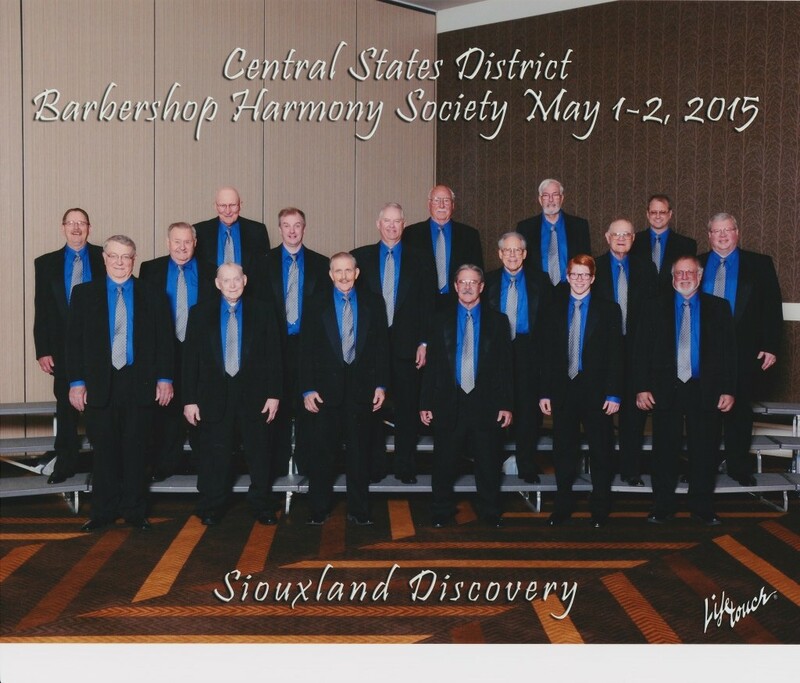 Come join us in the coming year to make the sound of Barbershop even more harmonious. 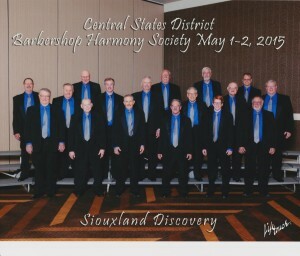 Check this out: Wanted: Men of all ages to join Sioux City’s premier men’s barbershop chorus, the ‘Siouxland Discovery Chorus’. We sing modern tunes and barbershop classics in 4 part a cappella harmony. …Enjoy fellowship and song every week with a great group of guys and if you’ve never heard a chord ring, you’re in for a real treat. Musical experience is a plus but is not required. Even if you can’t read music, if you can carry a tune, carry it here and you’ll be singing harmony in no time. We meet every Monday at 7pm at Community of Christ Church, 3232 transit Ave. Reply to this email for directions. All ages welcome (current members range in age from 18 to 82). If you’re too busy to sing then you’re just too dang busy! CALL 712-276-0686 if you have any questions.